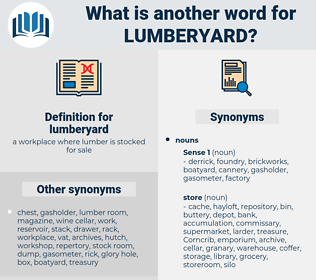 What is another word for lumberyard?
" 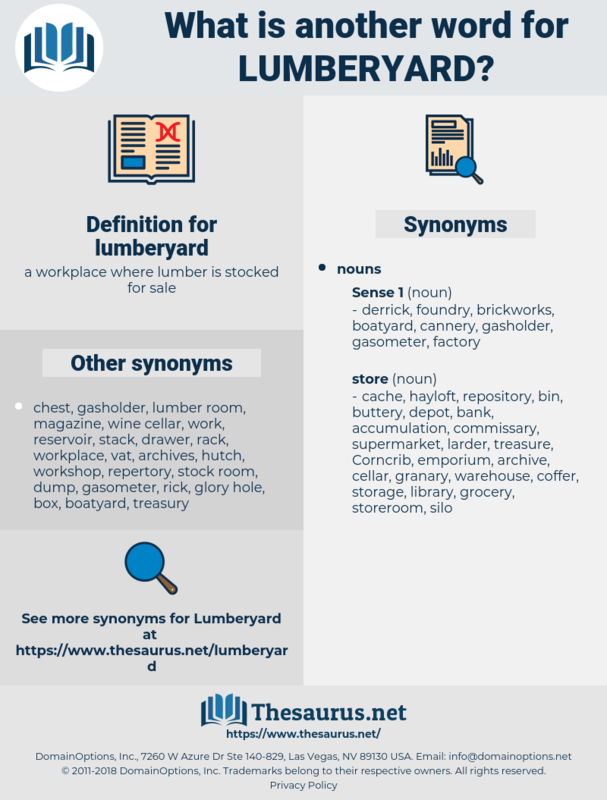 Yes, give him to me - I'll be careful of him," promised the young man from the lumberyard office, and Bert carried his pet over to the waiting automobile.
" Maybe about his two sons," Bert went on, as the old man passed from sight toward the lumberyard. lambertia, lombardy, lawn party, lombard, lampyridae, lambert, lampridae, line of heart, lombardia.